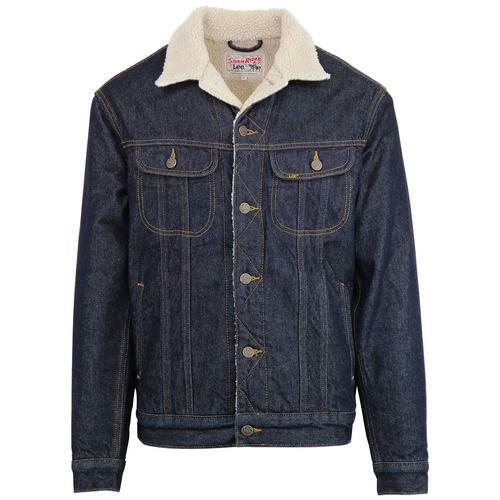 Wrangler 'Hawkins' Retro Sherpa Denim Jacket with Vintage patch details. 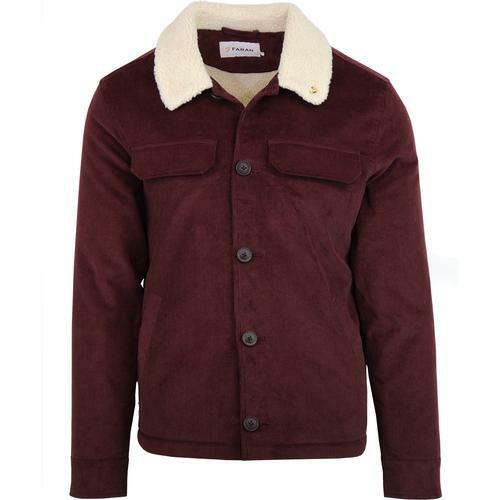 The timeless Retro denim jacket is given an seasonal make over, with Soft Sherpa lining giving it an autumnal touch. Stonewashed Denim shell creates a cool Retro aesthetic, while patch detailing to chest and sleeves gives a 60s ivy league and varsity vibe. 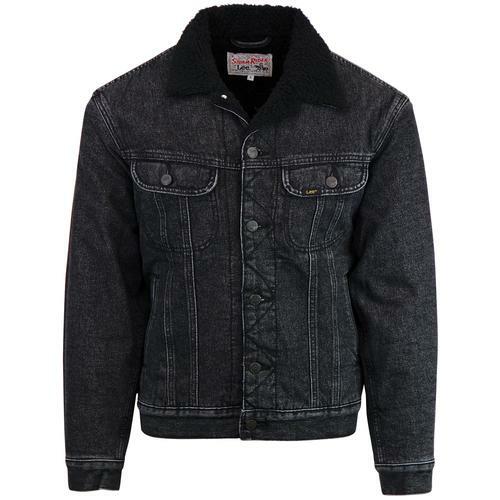 Contrast stitching throughout is typical of the wrangler denim jacket and adds some 70s Western style. 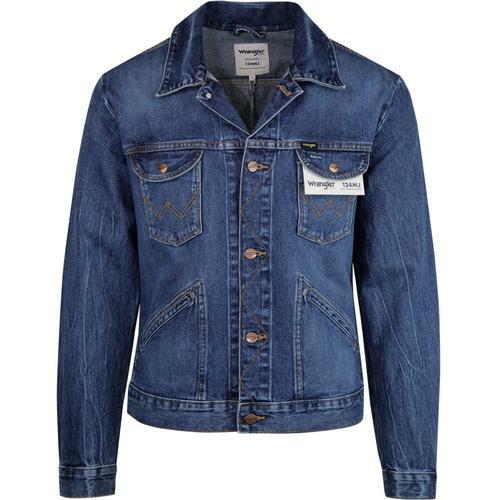 This simple Wrangler denim jacket is packed with cool Retro details and is perfect for a Retro Layered outfit. - Wrangler 'Hawkins' Sherpa Lined Denim jacket with patch detailing. - Midstone washed denim outer. - Sherpa Fleece Lining to body. - Ivy League college and varsity style patches to chest and sleeves. - Two front slant pockets. - Button tab adjusters to sides. 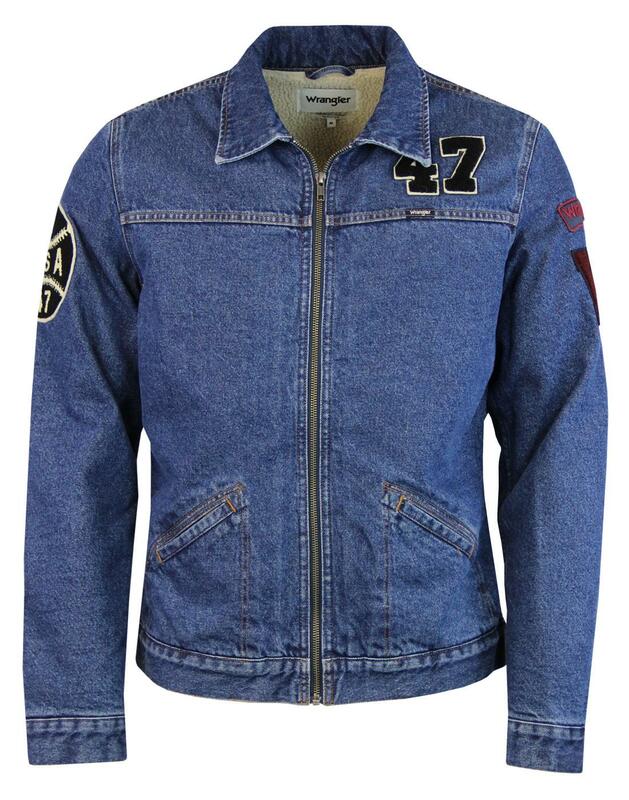 - Traditional short length mod denim Jacket.